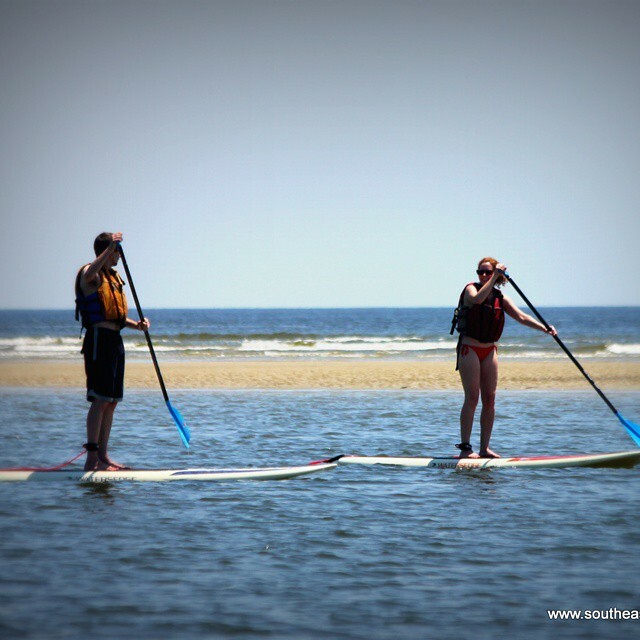 Learn the basics of Stand Up Paddleboarding. We'll demonstrate strokes, safety, and technique in an environment suited to build your independence and confidence paddleboarding. After a short lesson, improve your skills while you paddle at your own pace for the remainder of the rental! We schedule this around low tide for the calmest conditions and remain on site to ensure safety. Offered on St. Simon's Island Beach with a two board rental minimum, and on Jekyll Island Beach with a three board rental minimum. Groups and families are welcome to rent just a couple of boards and trade off among themselves for the duration of the rental. Included is all equipment including life jackets (pfds), paddles, paddleboards, and staff. Don't see enough availability, call or email! We can usually add trips as needed.